The default document is the file which is served by web server when no file name is specified by user in web url. By standard most of web servers uses index.html, index.htm, default.aspx, etc file names as default document if no default file is specified for website. 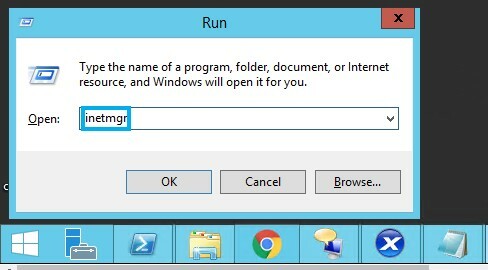 Go to run window and type “inetmgr” and hit enter to open IIS web server in your windows system. Now go under sites option in left side bar and select your site. 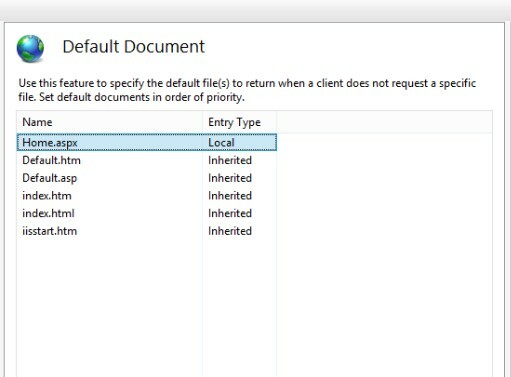 Now click on “Default Document” option. Now you will show a list of pages which is globally set as default document for your website. Now click on Add button in right sidebar. It will show a pop-up. Enter your filename to set as default document and click OK.
No Select your new filename entered and put it at top of priority order by using “Move Up” button in actions side bar. 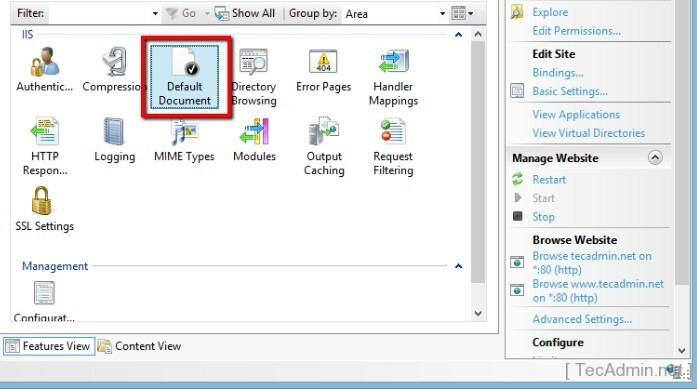 Now your default document has been correctly configured for your website in IIS web server.